New Model World Fashion Tailor provides tailoring service for all kind of dresses. 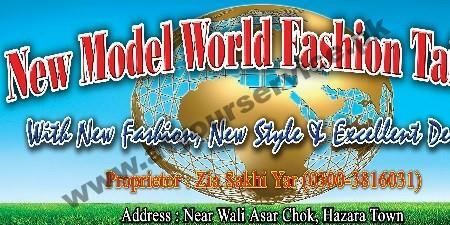 New Model Worl Fashion Tailor is located at Wali Chowk, Hazara Town, Quetta. It provides tailoring service for all kind of dresses.